In a post made last week on the official Bioware blog, we learn that the special edition of Mass Effect 3 for the Wii U will be packed to the gills with content. According to Melanie Faulknor, external producer for the Wii U version of the game, if you happen to pick up ME3 during the Wii U launch, you will find that it includes “our From Ashes DLC, the Extended Cut DLC, the Rebellion, Resurgence and Earth multiplayer packs, and a bonus heavy weapon.” For people like me, who has interest in ME3 but have not had a chance to play it yet, this might just sway my vote, even though I have two characters made on the Xbox 360 for ME2. Additionally, the GamePad can be used to give your squad directions and used their powers, or you can simply play the whole game on the GamePad while you lay around on the couch like a slug. 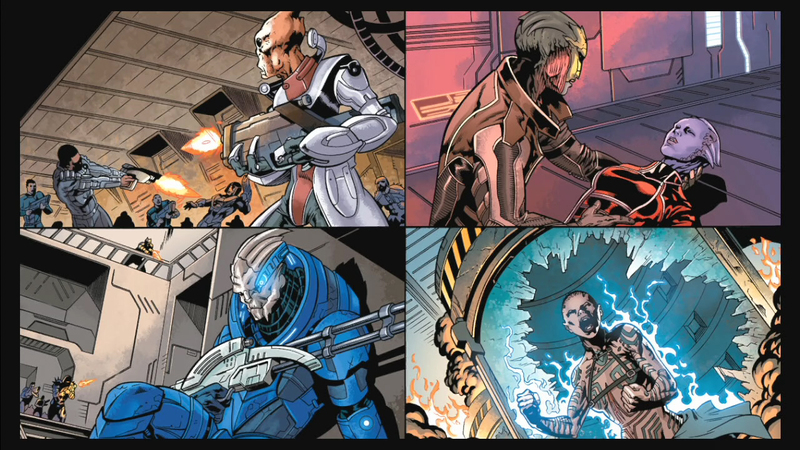 Similarly to the PS3 version of Mass Effect 2, an interactive comic will be included on the disc that lets you get the backstory for ME1 and ME2 while you choose the more critical story points. Once you are done with the comic, you can import this character into ME3 and start playing with those choices intact. Pretty cool. Mass Effect 3 is a launch title for the Wii U.